← Well done Paddy Kiely! Today we celebrated Proclamation Day in our school. It was a unique day and one we will all remember. 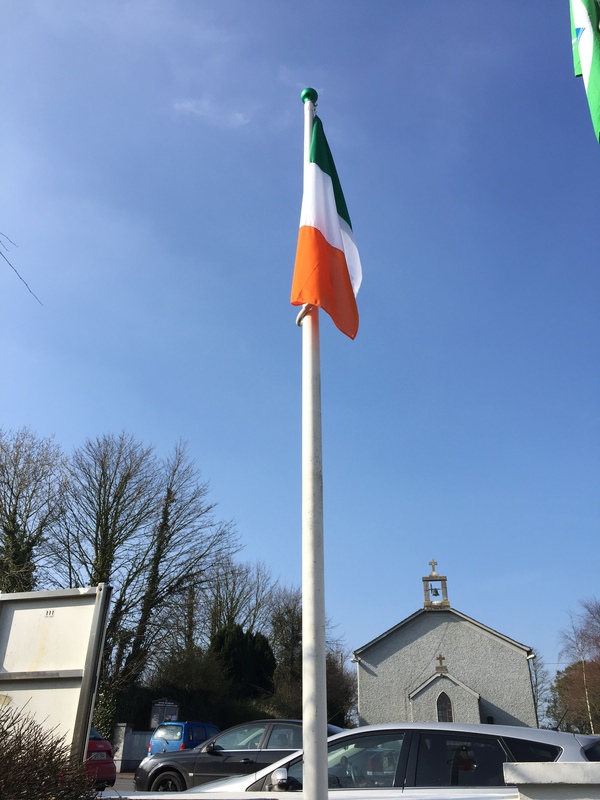 At 12pm we gathered with our visitors outside the school, Orla read the Proclamation and Conor raised our new flag we received from the Defence Forces. We then moved to the hall where 5th & 6th class performed The Foggy Dew and Óró sé do bheatha bhaile, along with Irish dancers and the reading of Proclamations for a New Generation. You can find lots of pictures of the day in our Gallery or by clicking the link below.